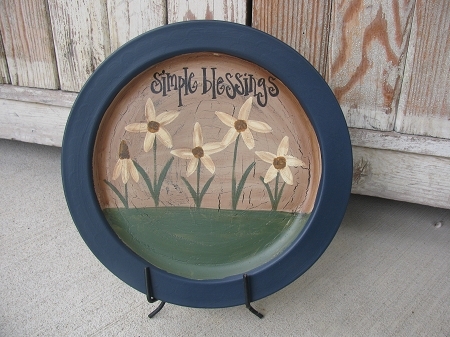 Primitive Country Cottage Chic Wild Flowers Hand Painted Plate. Sweet and simple are these dainty cream colored wild flowers in the meadow. Great spring time accent or for a shabby chic cottage theme. My very popular, original wild flower design is also customizable. Choose your favorite saying, your plate's rim color and also a new option is to be able to change the color of the flowers. 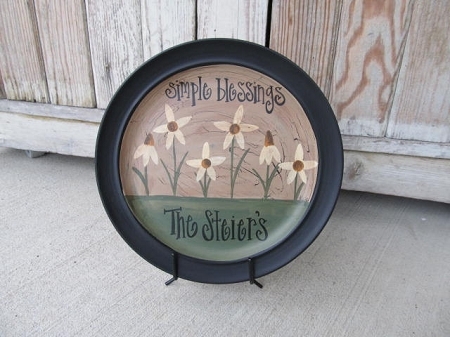 Option shown has black plate rim, Simple Blessings as the saying and cream colored flowers. I re-cycle repurpose stoneware dinner plates, so each plate will vary slightly. The average size is about 10"-11" in diameter. Not intended for food use, but for a unique home decor piece. 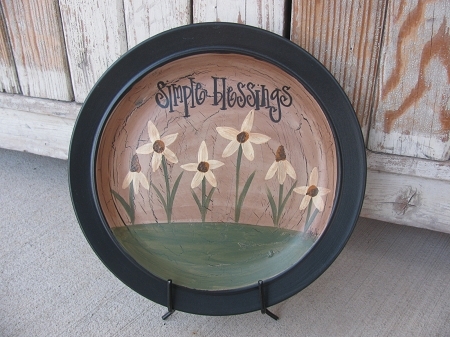 **This plate can also be personalized. If you'd like to do so, please use the area provided to write the name in and how you'd like it personalized. If not, please just type No Thank you. 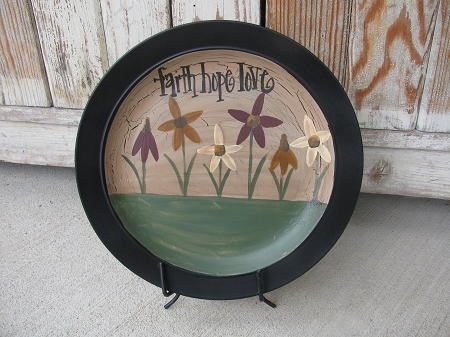 ** Hand painted, designed and signed by Heidi.